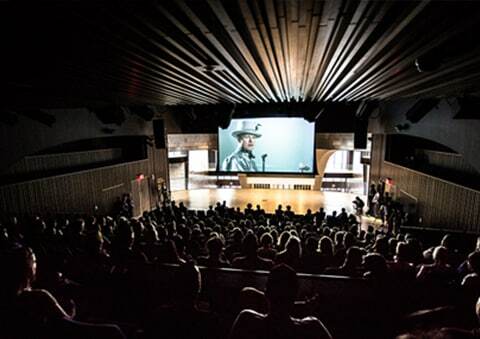 Looking for a breathtaking experience in Calgary’s Studio Bell, home of the National Music Centre? 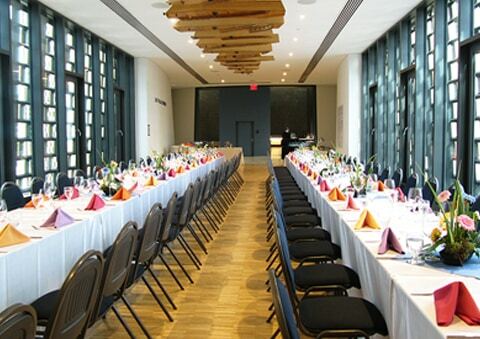 This gorgeous venue is designed to represent Canada’s finest musical talent, but it is also an amazing location for entertaining out of town guests, hosting a corporate party or celebrating a milestone event. Take a look at this venue and let us know how we create bring your vision to a reality. 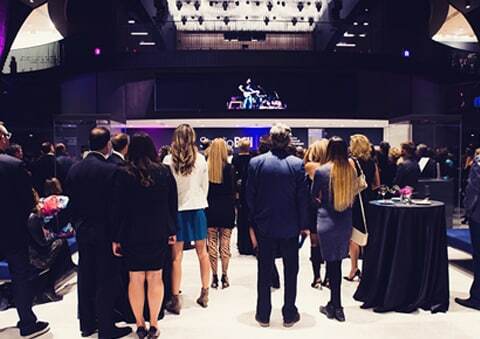 Our team of event specialists can transform any of these spaces into a unique experience to wow your guests. Let us make your event extraordinary! Don’t take our word for it. 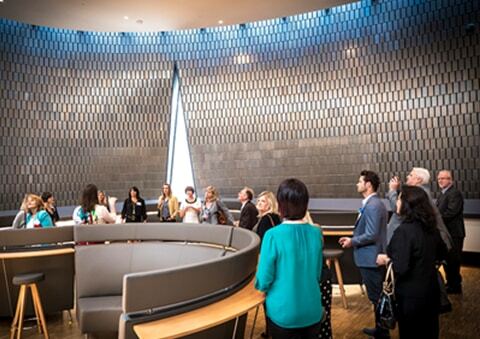 Both Calgarians and guests alike have commented on the beauty of Studio Bell event spaces. Here’s just a few of the comments. Here’s a quick review of the wedding we recently did at Studio Bell. Julie and Stephen held their wedding at Studio Bell, home of the National Music Centre. Entertainment included dueling pianos. Tables were dressed in ivory, elegant, majestic linens. Centerpieces were created with crystal pedestals topped with rose ivory balls. Gold Chivari chairs with ivory leather cushions added to the classic feel for this spectacular wedding.